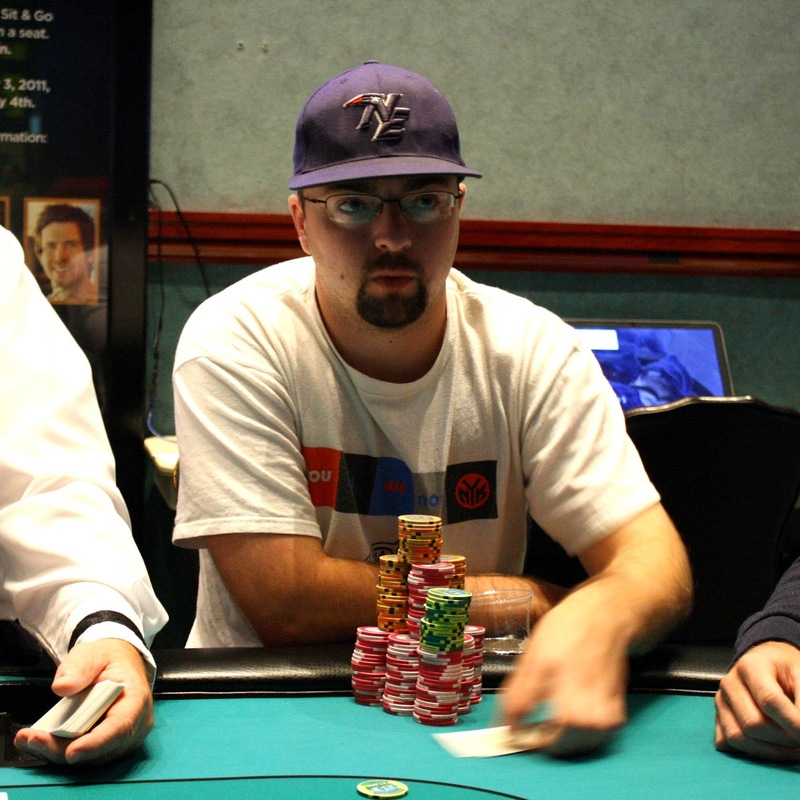 On a [Tc][4h][9c] flop, Rory Anderson was all in with [Kc][Qc] and was up against the [9s][7h] of Peter Wagner. Peter had the best hand with a pair of nines, but Rory was a 61% favorite with his flush draw, gutshot, and two overs. The [Jd] turn gave Rory the straight, leaving Peter drawing dead, and the [5c] river unnecessarily improved him to a flush. Rory has now built his stack back up to 3.5 million while Peter has 4.7 million. 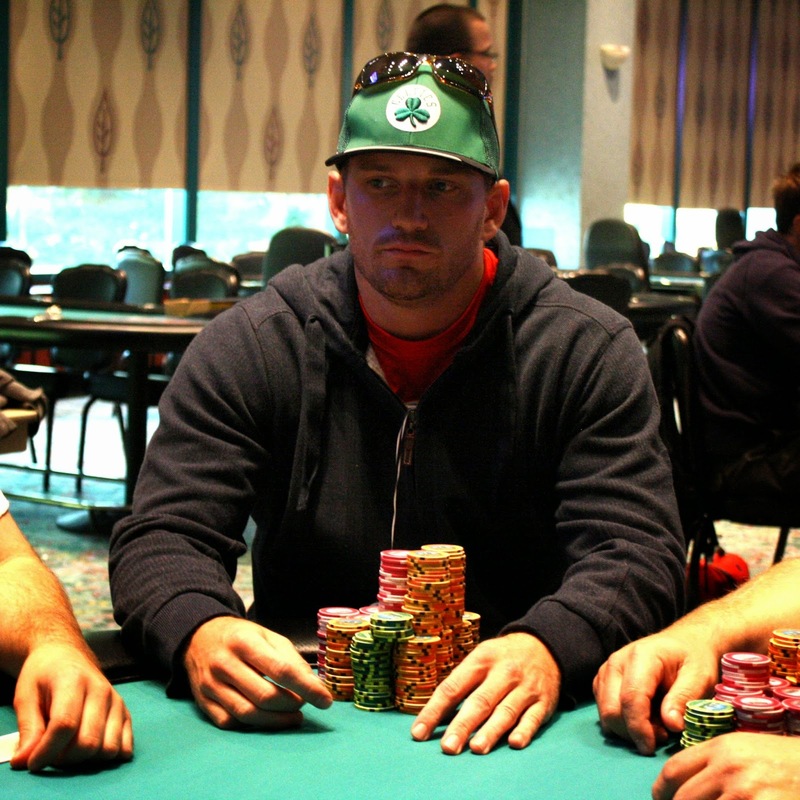 Peter Wagner opened the button before Rory Anderson moved all in. After some thought, Peter called with [Jh][8s] and was crushed by Rory's [Js][Jc]. 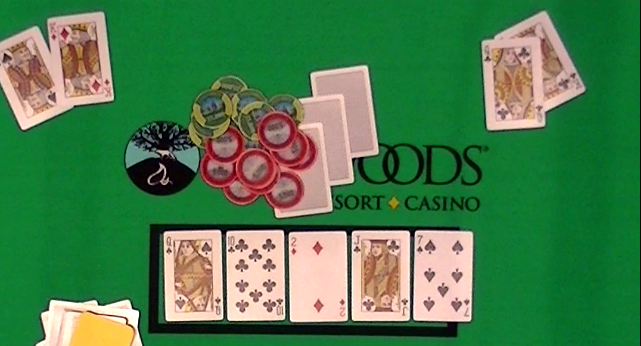 The [5s][Td][2c] flop was no help, but the [9h] did give Peter an open ended straight draw. The [6h] hit the river to give Rory the double up. He still has some work to do, though, as he is still largely outchipped. On a [7c][3s][Ad][3h][Ah] board, Rory Anderson moved all in, having Peter Wagner covered. Peter snap called and revealed [As][7d] for the second nuts. 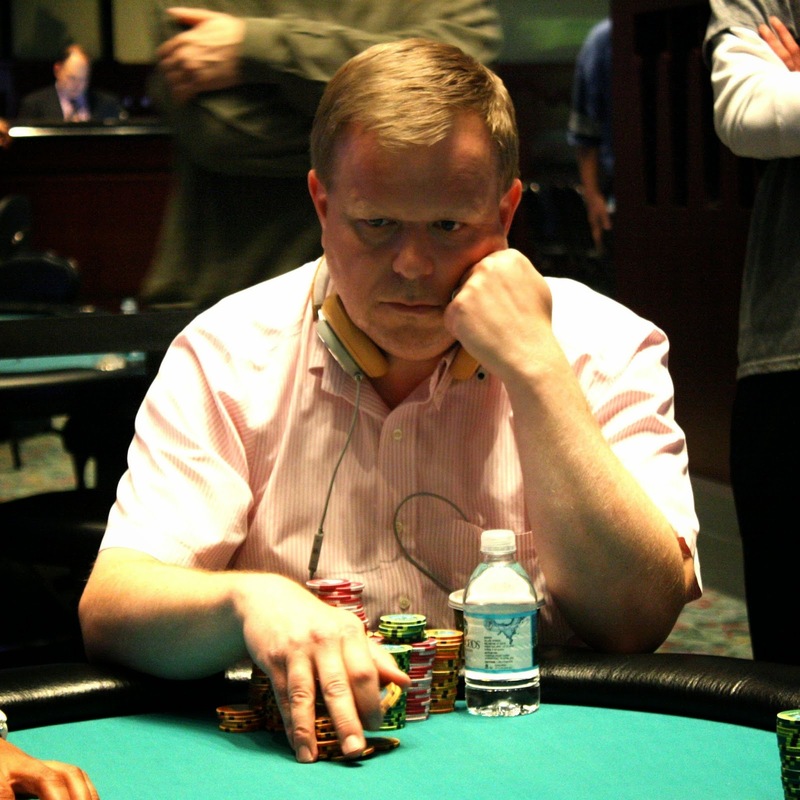 Rory mucked, and Peter has taken a commanding lead in this heads up match with almost 7.5 million to Rory's 600,000. After Peter Wagner opened the button, Mark Bramley reraised from the small blind and Peter made the call. The flop fell [4h][Kh][4c] and Mark moved all in and was snap called by Peter. Mark was in trouble and found no help on the [Jc] turn or the [5s] river. Mark will exit this tournament in 3rd place, good for $19,341. Victor Usati was all in preflop holding [5d][5c] against Peter Wagner's [As][Qd]. 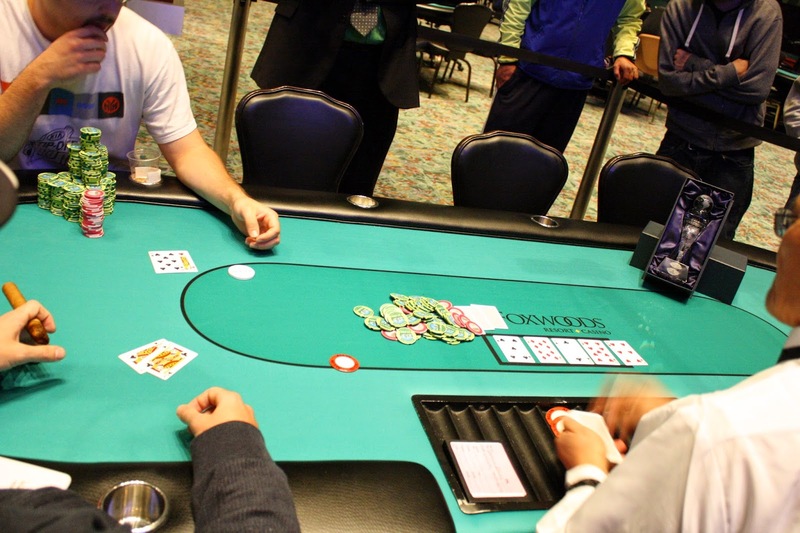 The [Js][3h][Ac] flop paired Peter's cards, and Victor would need a five to survive. The [3s] turn and [Jc] river failed to deliver, and Victor will exit this tournament in 4th place. He will collect $15,150 for his efforts. Kyle Anderson moved all in from the small blind holding [5h][4s] and was called by Rory Anderson in the big blind holding [Ah][Qc]. It was a battle of the Andersons, with Kyle needing to improve to survive. The [Qd][Jd][Kd] flop meant Kyle was now drawing to runner runner. 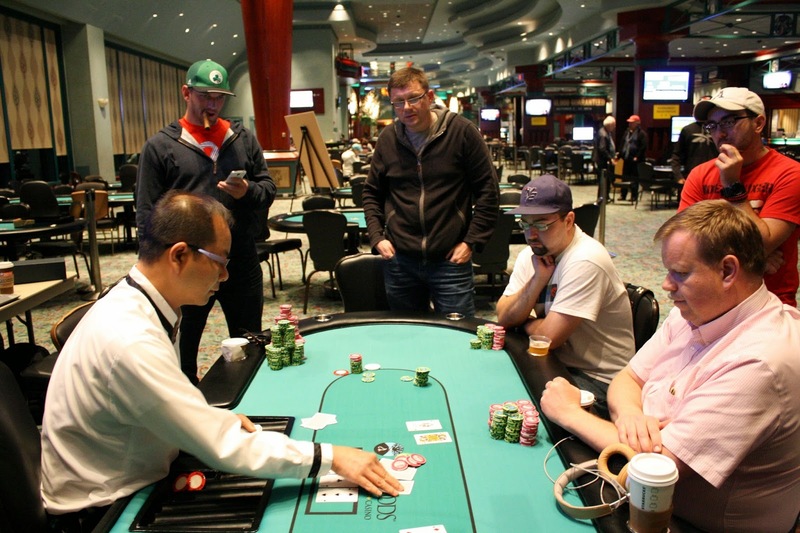 The [Ac] turn did open up some chop outs for Kyle, but the [8s] hit the river to eliminate him in 5th place. Kyle will earn $11,282 for his efforts. On a [Qs][Tc][2d], Rory Anderson was all in holding [Ks][Kd] and was up against the [Kc][Qc] of Mark Bramley. Rory merely had to dodge a queen to survive, but the [Jc] gave Mark a flush draw, not to mention a Royal Flush draw. The [7s] hit the river to give Rory the double up, and he now sits on approximately 700,000. From under the gun, Victor Usati moved all in and Bruce Secor made the call from the small blind. It was a cooler as Victor's [Qs][Qc] ran into Bruce's [Kd][Kc]. 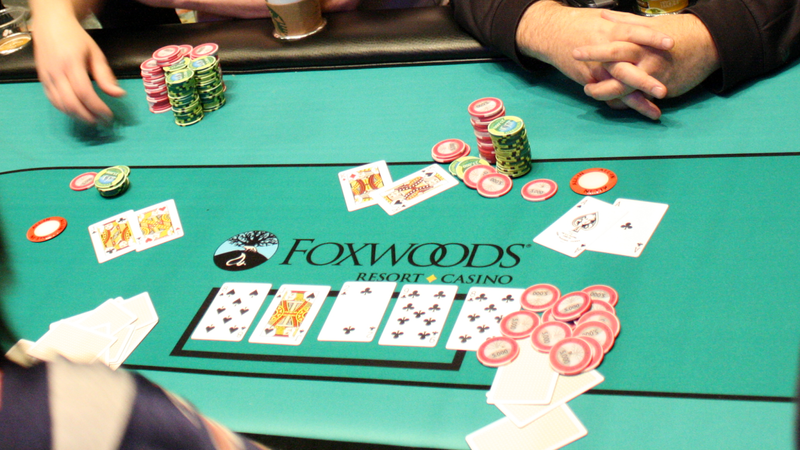 The [9s][Qd][As] flop once again delivered a flopped set to the smaller pocket pair. The [2d] hit the turn and Rory Anderson admitted he folded deuces. 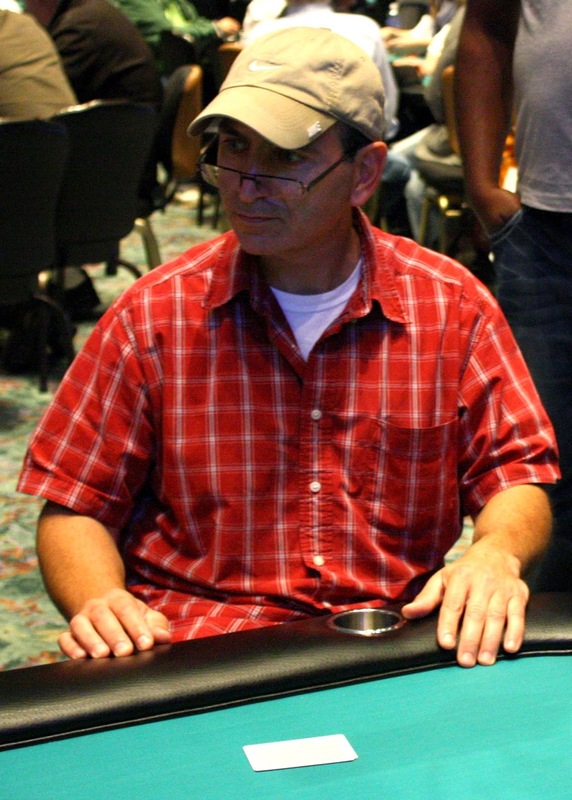 The [5s] hit the river to send Bruce to the rail in 6th place, good for $9,133. Vito Masi had dwindled down to less than one big blind, and he was all in before the deal from the big blind position. 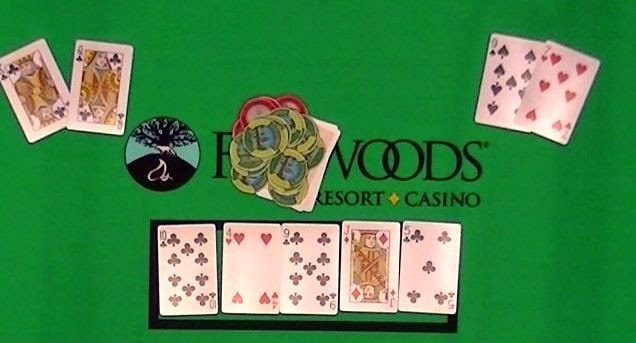 Two other players saw the [6d][2d][Qh] flop, but a single bet was enough to fold out the other live player. Vito's opponent tabled [Ah][5h] for just ace high, but Vito could only find [Ts][7d] as he saw his hand for the first time. The [8c] turn gave Vito a gutshot straight draw to go along with his live cards, but the [8h] river meant Vito will exit the tournament in 7th place. He will earn $7,306 for his efforts. Mark had both players covered, so if the aces held up Ray would triple up and Keith would be eliminated. The flop fell [8s][Js][2c], however, putting Peter in the lead with top set. The [9c] turn and [8c] river changed nothing, and Peter will earn a double knock-out. The stacks were counted down, and it was discovered Ray had the bigger stack of the two, so he will earn $5,695 for his 8th place finish. Meanwhile, Keith will earn $4,427 for his 9th place finish. The [Td][3d][9d] flop was no help, but the [8s] turn gave Giuseppe 11 outs to survive. 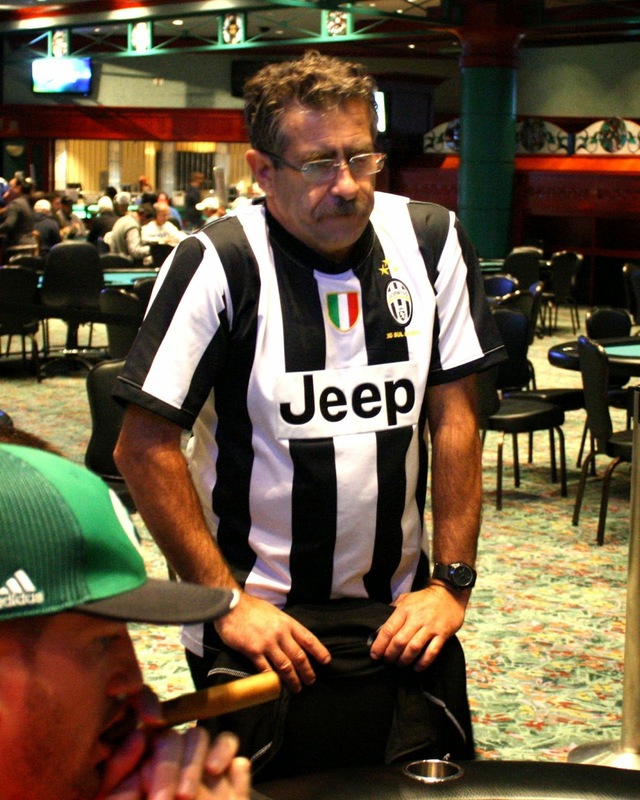 The [7h] was not one of them, and Giuseppe put on his jacket and headed for the payout desk. He will collect $3,330 for his efforts. Dinner break is over, and the final 10 players have resumed play in Event #1 $600 NLH. You can watch live at www.FoxwoodsLive.com. The final table of Event #1 $600 NLH is now on dinner break. Play will resume at approximately 7:30pm EST. 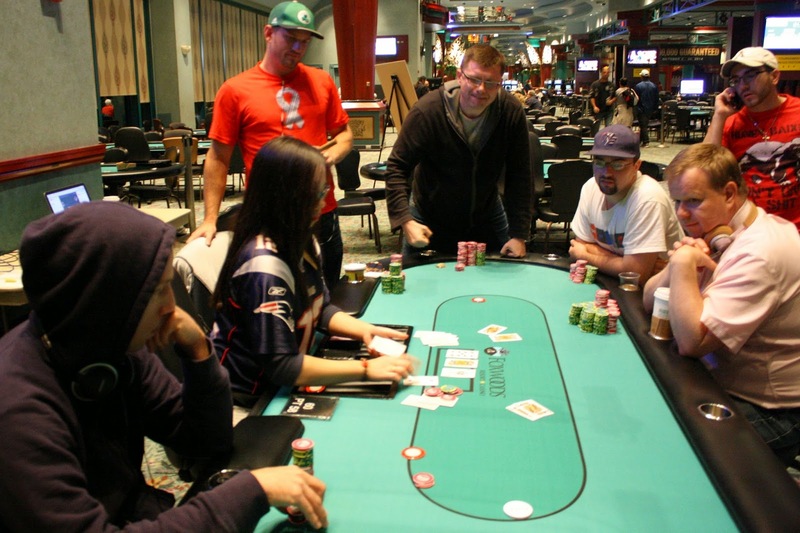 With the elimination of the 11th place finisher, Event #1 $600 NLH has reached the final table. There are still 7 minutes and 30 seconds left in level 25 before the final 10 go on dinner break. With the elimination of our 19th place finisher, the final 2 tables in Event #1 $600 NLH have been reached. Players are redrawing for their new seats, and they will play the remaining 11 minutes and 22 seconds of level 23 and then take a break. After that, remaining levels will be 50 minutes in length. With the elimination of our 46th place finisher, the remaining 45 players in Event #1 $600 NLH are now in the money. 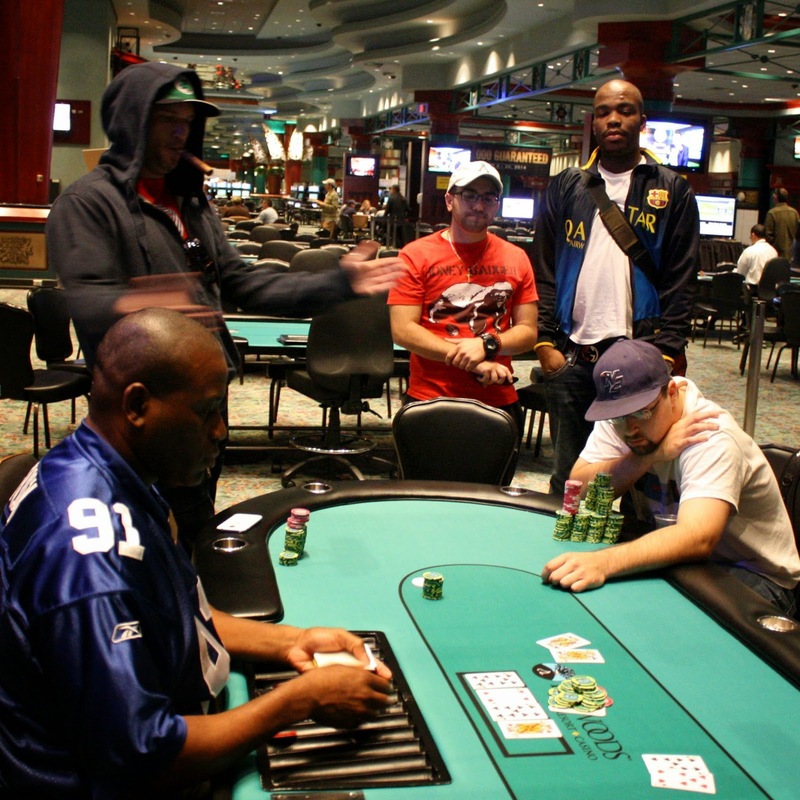 All players are guaranteed a $1,289 mincash, however all eyes are on the $46,563 first place prize. Cards are back in the air for Day 2 of Event #1 $600 NLH. 51 players remain and we will be playing down to a winner today. You can watch our featured table at www.FoxwoodsLive.com. Cards are in the air for Event #2 $300 NLH Bounty. 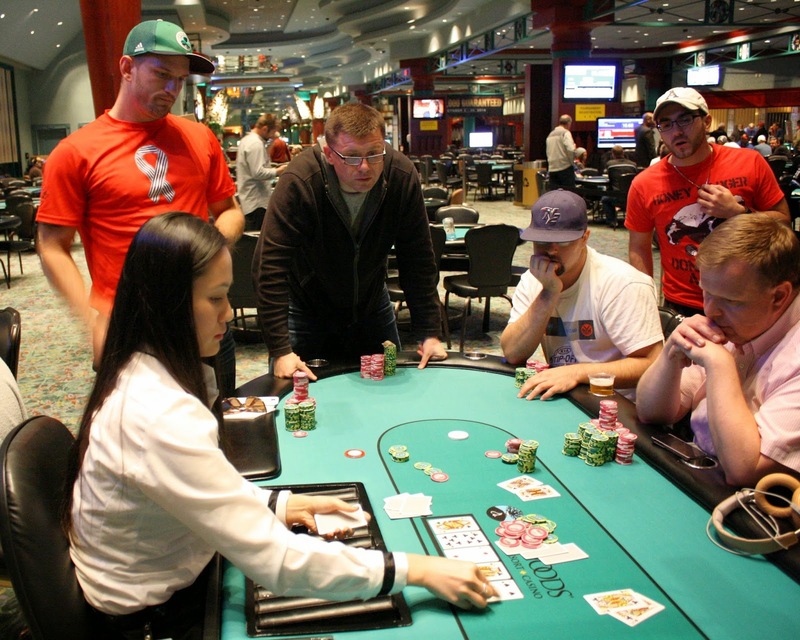 This tournament features 15,000 starting chips and 30 minute levels. A full structure sheet is available here. At 12pm, Event #3 $300 Omaha 8+ will begin. 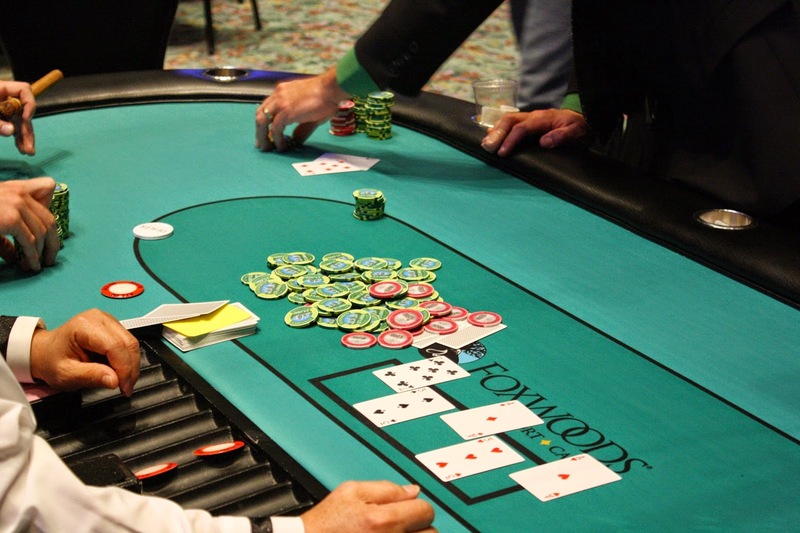 This tournament features 10,000 starting chips and 30 minute levels. A full structure sheet is available here. Also at 12pm, Event #1 $600 NLH will be resuming Day 2 action. We will be streaming a featured table live at www.FoxwoodsLive.com as we play down to an eventual winner. With 10 minutes left on the clock, it has been announced that the field will play five more hands before completing play for the night. Players that survive will return at 12pm. 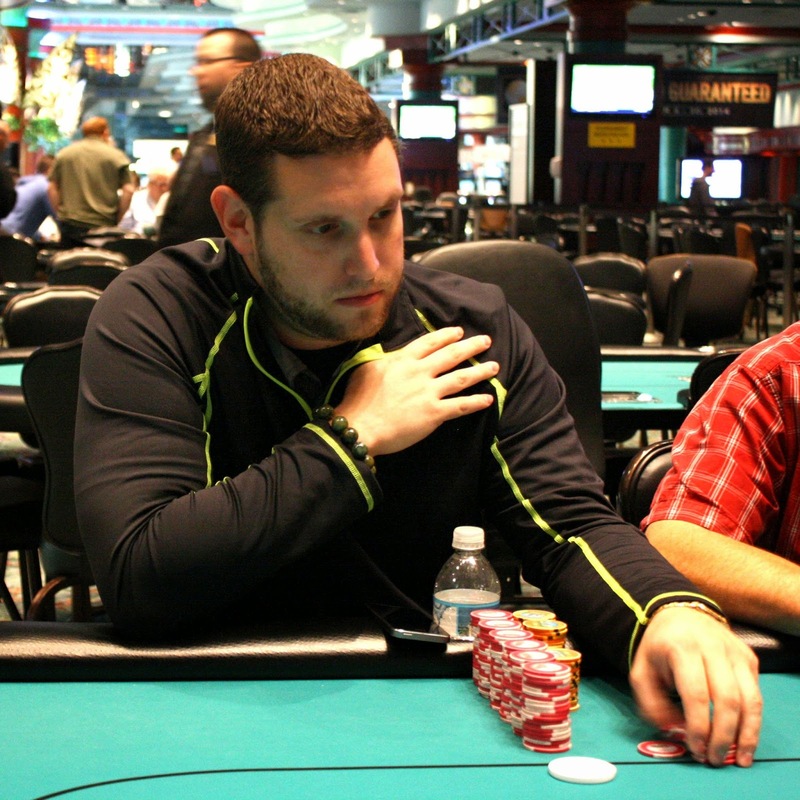 Currently there are 57 players remaining including David Stefanski, Tom Dobrilovic, and Nick Palma.